Pictured Above: The intersection of Western/Belmont/Clybourn Avenues near the Roscoe Village neighborhood of Chicago. 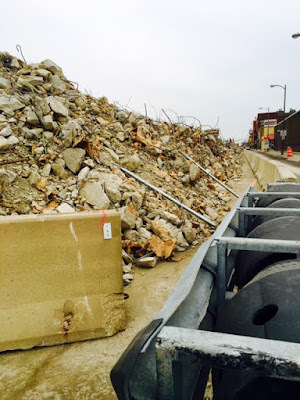 What once was the Belmont 'Flyover' is now concrete and rebar rubble. Completion ETA: Not Soon Enough.